The "submarine car" used in the James Bond film "The Spy Who Loved Me" sold for 550,000 pounds ($864,600) at auction on Monday, less than had been expected. The white Lotus Esprit, which transformed into a submarine during a sequence in the 1977 movie starring Roger Moore as 007, had been expected to sell for between 650,000 and 950,000 pounds, according to RM Auctions. Bidding started at 100,000 pounds in an auction which ran live on the internet. Known as "Wet Nellie" on the set of the film, the fully operational submarine car was among the contents of a storage unit in Long Island, New York, which was bought by a couple in a "blind" public auction in 1989. 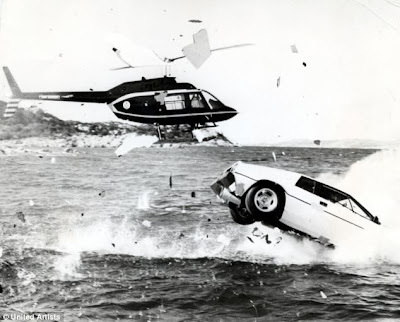 Although six Esprit body shells were used in filming, only one was converted into a submarine car, RM Auctions said. "We have a great track record in selling incredible and iconic movie cars, and this particular Lotus is certainly up there amongst the most famous cars of all time," RM Managing Director Max Girardo said in a statement. 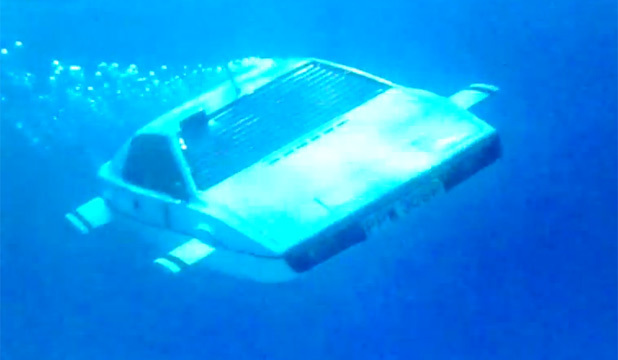 Lotus Esprit submarine car from James Bond movie, The Spy Who Loved Me. The auction house previously sold the Aston Martin DB5 used by Sean Connery as James Bond in the "Goldfinger" and "Thunderball" movies for 2.9 million pounds in 2010.